In just seconds the Heat Prep™ Cable Heating Tool (CHT) heats dry, brittle, cold or cracked cable, ensuring a solid connection using less force than ever before. The CHT is ideal when working in harsh winter conditions, or with tough, flooded cable types such as direct burial or LMR-style cables. The #1 coaxial repair issue that technicians face is improper, unreliable connections. This results in repair calls, customer downtime and repeat visits. The revolutionary Heat Prep CHT solves this problem. By adding heat to the cable connection process, Heat Prep’s breakthrough tool helps technicians do their work with less effort and get the job done right – the first time. With more than 25 years of experience seeing thousands of improper connections, our team of technicians set to work on a solution. The result: One small tool that has revolutionized the cable connection experience. Adding heat to the coaxial cable ensures predictable, rock-solid connections every time, eliminating repeat customer service calls. By heating the cable, the force required to make a connection is reduced by more than 300%, putting less stress on technicians’ hands. The idea for the Heat Prep CHT was born of the necessity to make a technician’s life easier. Harsh winter conditions lead to cold hands, cables and tools – and as a consequence – solid, reliable connections become difficult. Adding heat to the cable connection process eliminates this problem. 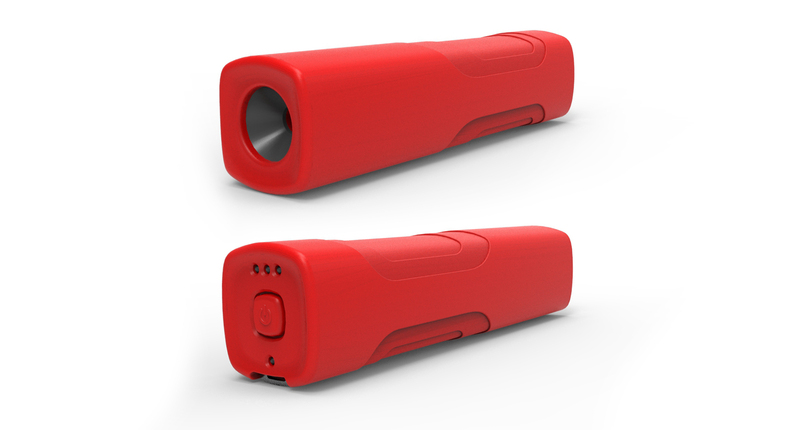 A long-lasting, rechargeable lithium ion battery ensures over 10,000 heating cycles. Medical-grade, waterproof silicon casing is ideal for extreme environments. Our tool is designed to fit into all standard tool pouches used by technicians. The CHT is designed to work with all cable brands and common gauges, between .13 and .45 in size. Professionally engineered to safely deliver the right amount of heat makes the CHT a safe choice. Our easy-to-handle tool was designed and tested by technicians for all types of connections. Simply push the button and insert the cable. to learn more about our revolutionary tool.